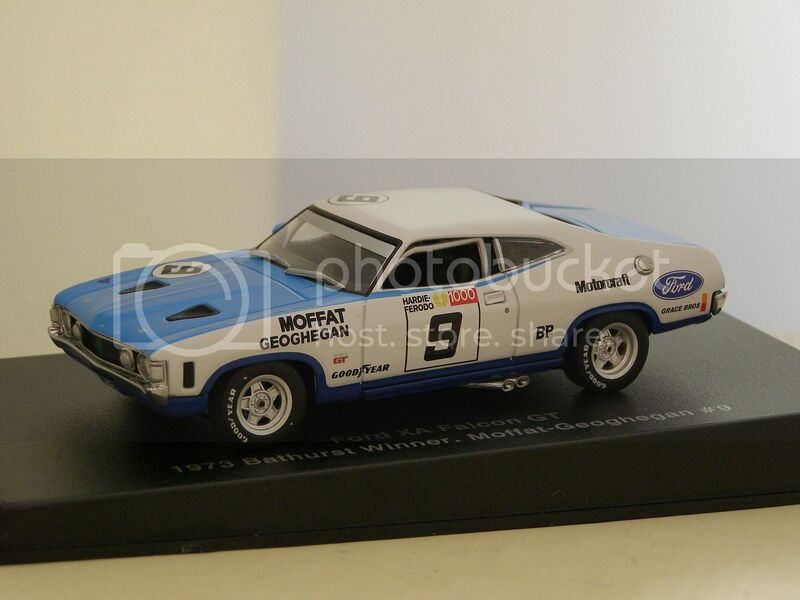 With a big thank you up front to Ian (Jager) who helped me source a couple of models I was after, I completed my Ford's at Bathurst collection this morning. Whilst it was very tempting to try and source all the Ford winners, I've stuck with only one example of each different winning car. 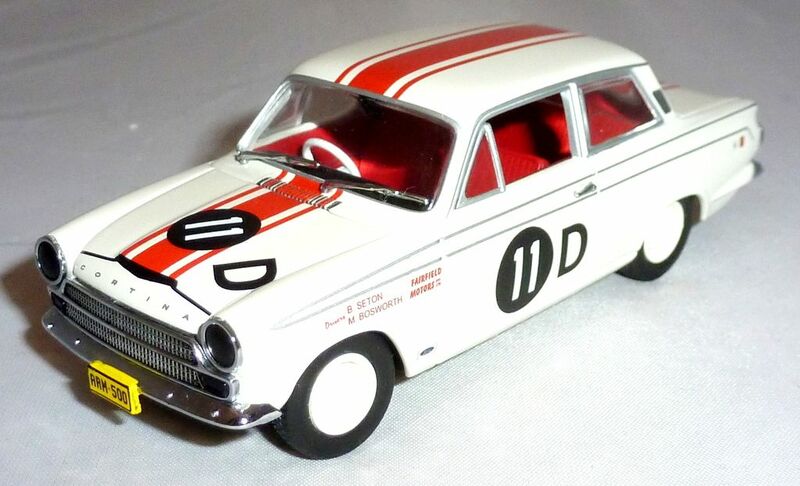 I'm missing the 1962 Falcon XL winning car, but that is as rare as Hen's teeth and i think was only produced in very limied quantities (maybe even as a kit) in the 1980's. 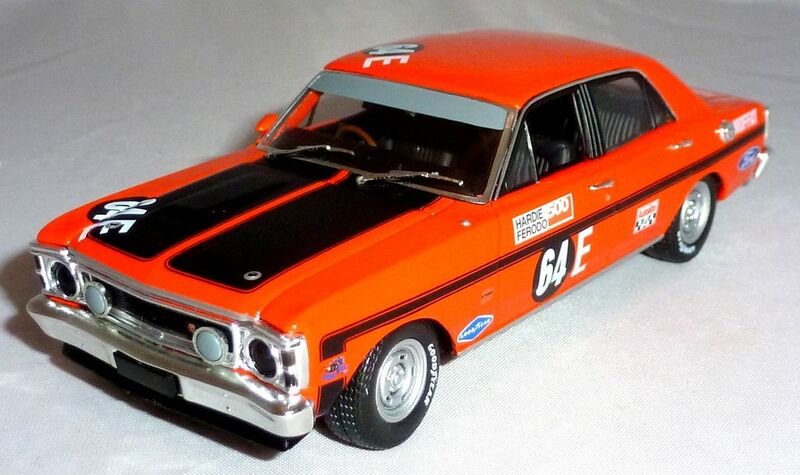 I can only find 1 picture of the model on the internet. Last edited by reeft1 on Sun Sep 04, 2016 4:33 am, edited 2 times in total. Nice collection Paul. Glad I could help you with it. 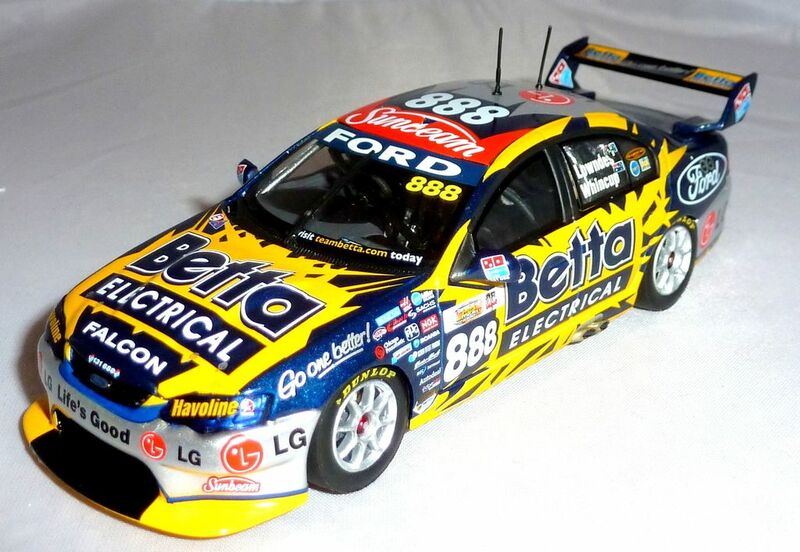 The 1998 Pirtek car is crying our to be remodeled to current standards. 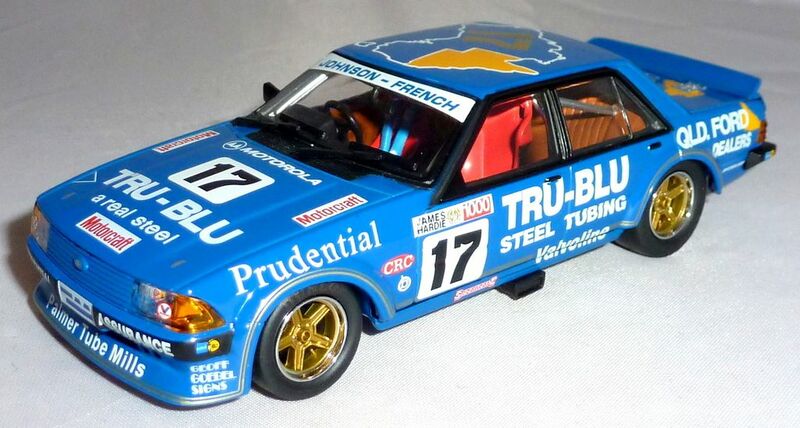 I really don't understand why Biante or Classic Carlectables haven't remade this one. I agree with you Ian. 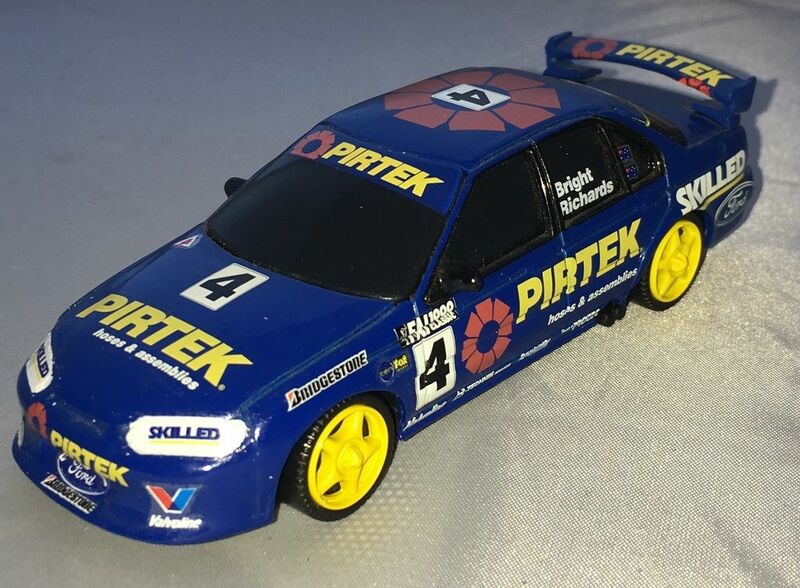 The Pirtek car needs an upgrade. 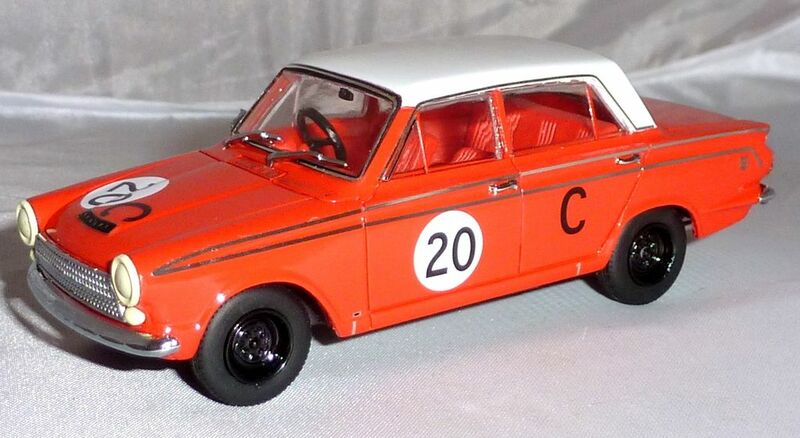 The 67 goes for silly money on Ebay but I found a single model in an Aussie on line store - i wasn't convinced they had it in stock as i paid from memory (just a few months back) about AUD70 for it, but low and behold, it turned up in Blighty! Nice collection. I have a few of these as well, although mine stop at the end of the Group A era in 1992 as the current V8 era does not interest me as much. 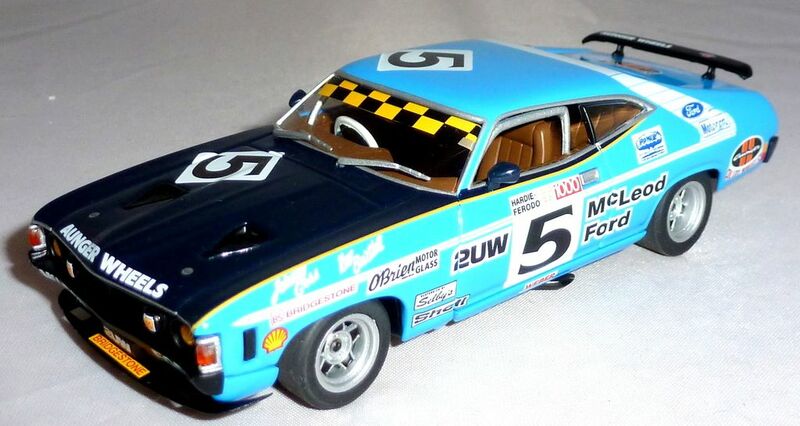 Can I add one more winner to the list - Ford Falcon XA GT Hardtop from 1973. 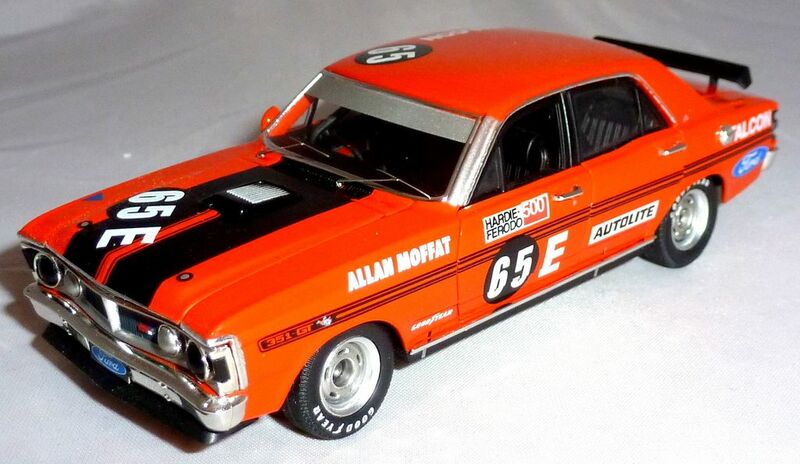 Driven by Allan Moffat & Ian "Pete" Geoghegan. 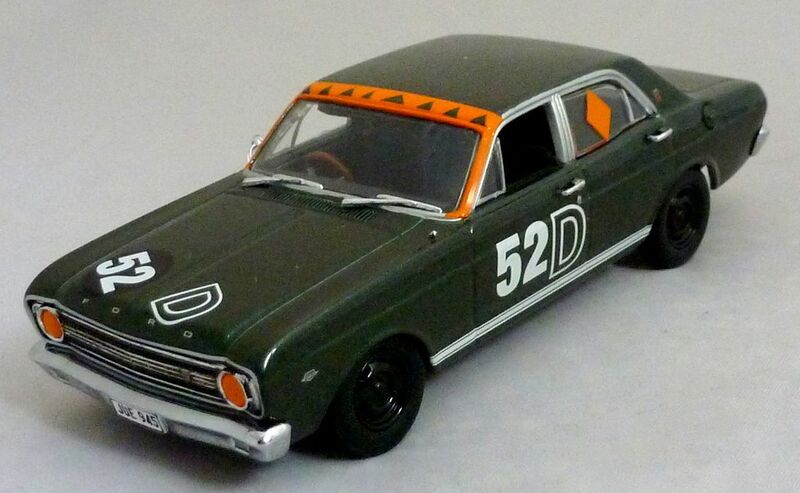 This was the first year of Australian "Group C" racing and the first year that the XA Falcon was raced. 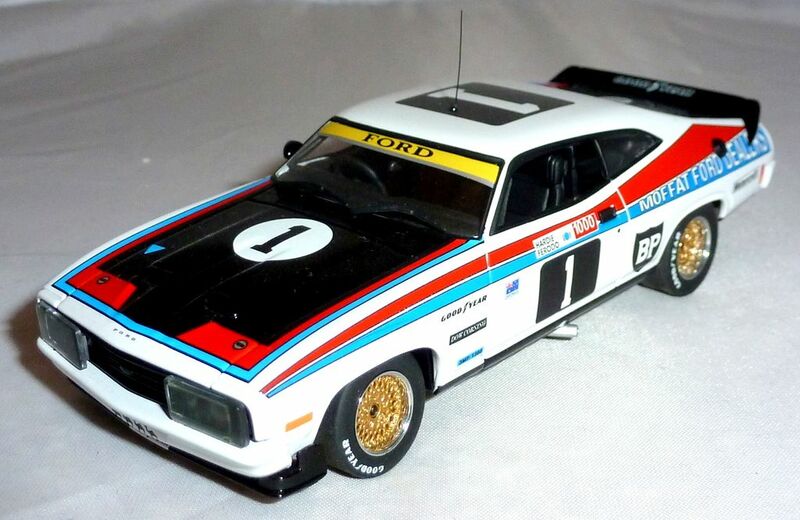 They didn't have the front and rear spoilers as yet, as seen on your 1974 winner. I love the older cars, say <1990. 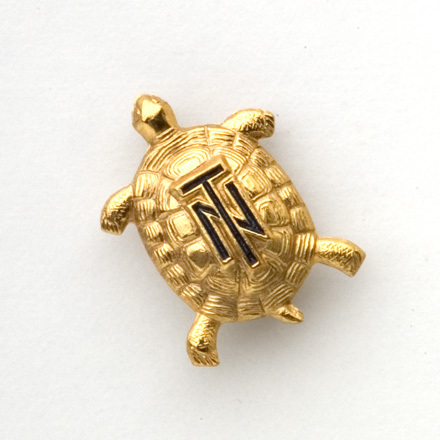 New stuff just doesn't do it for me, but the old ones are ace. 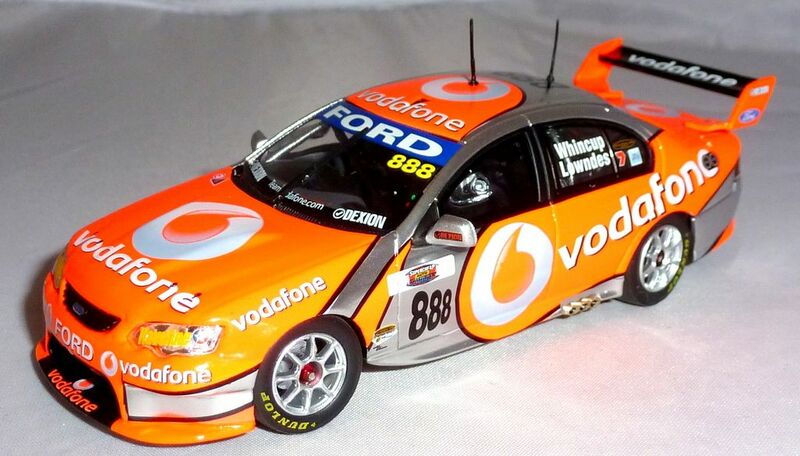 I've been watching some Ute racing and V8 Supercars from the 1st couple of races this year. 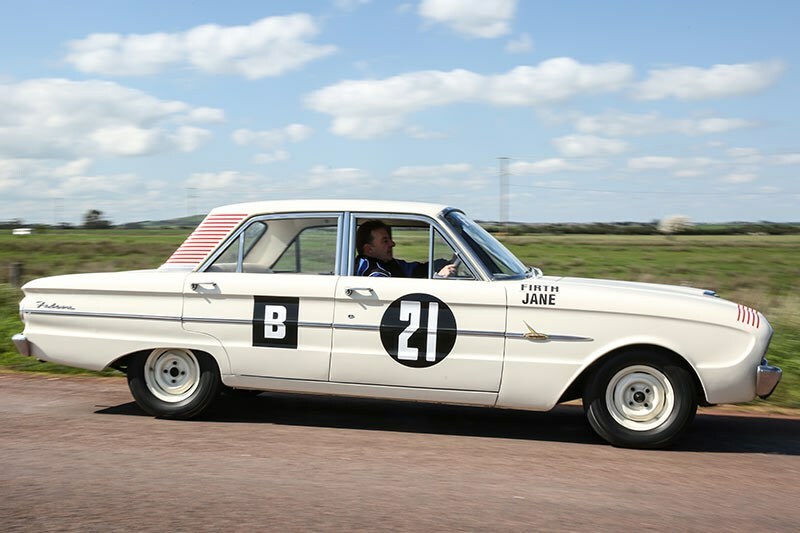 Also, some of the historic touring car racing - love those old bangers, especially the drivers having to actually DRIVE the thing and look absolutely spent after doing so! 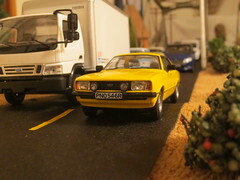 Nice collection of Fords Ian, reminds me of the Sierra my old man took us to stock car racing in South Africa back when I was a pipsqueek! 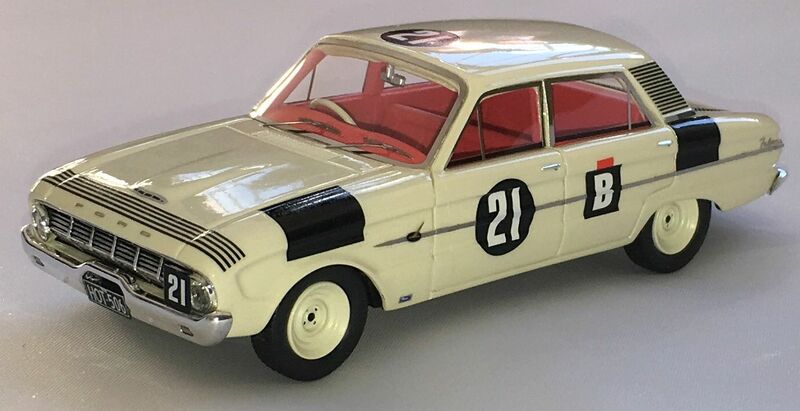 Definitely the final addition for some time - ACE Model Cars released the 1962 Firth/Jane Falcon XL. So the collection is complete unless Ford win again in the future! 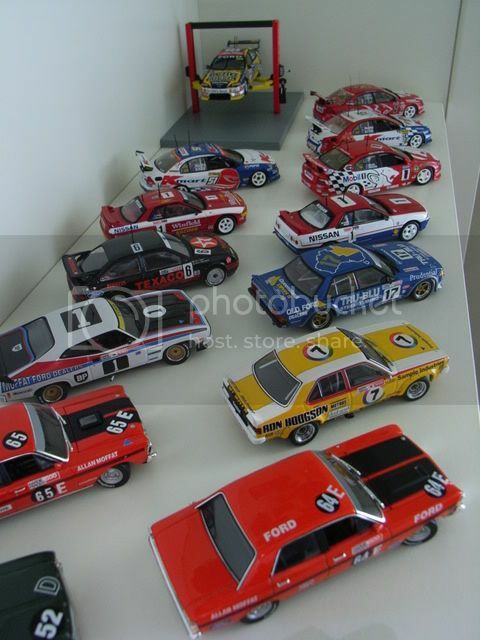 The last 3 really stand out for me but I did have the green #52D in 1:18 many years ago. 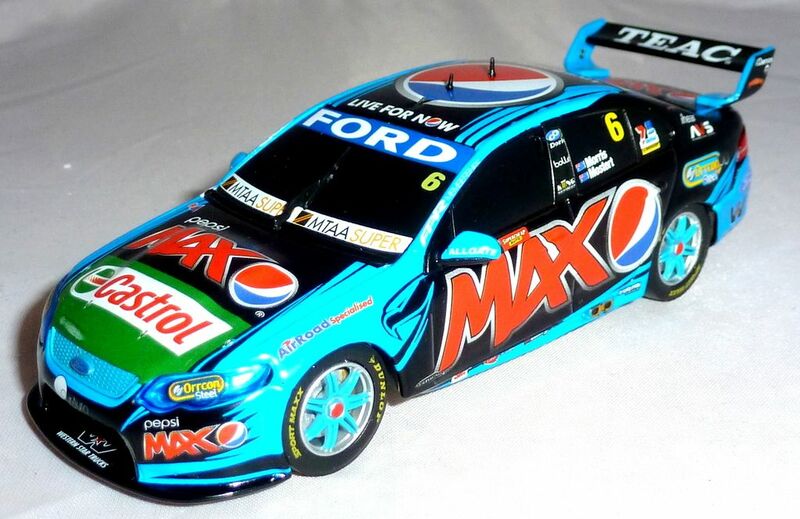 The way the DJR-Penske's are going this year you may have another one to add shortly! 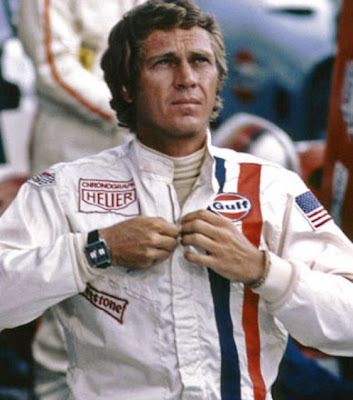 I for one would be happy to see a DJR car back on the top step of the podium. Easy to avoid: delete this thread and live happily ever after . Looks good Paul. 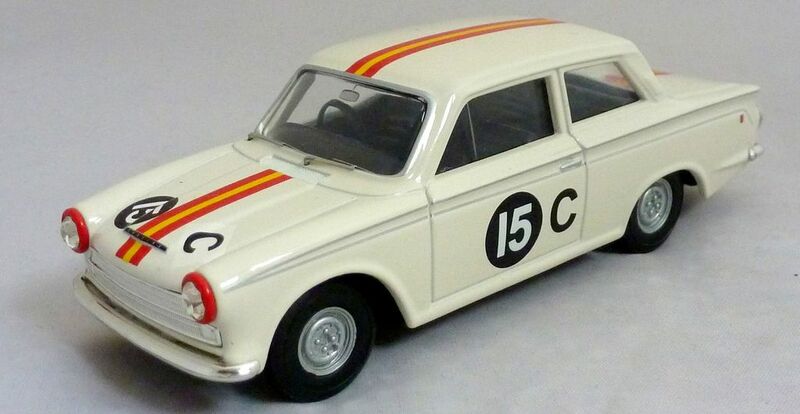 I wasn't aware the '62 winner had been modelled. 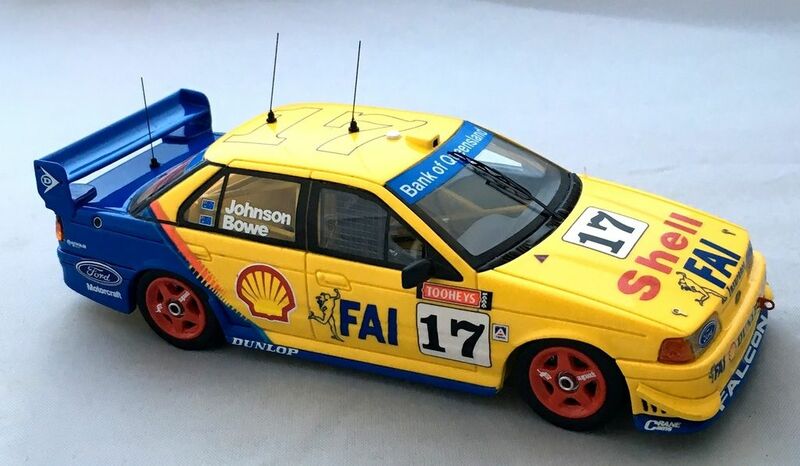 Is that the Apex RS500 ? A stunning car and one I really want to add to my Fords. Ive just recently grabbed the # 17 XD Falcon winner having the other blue 3 XD/XE already this eluded me. 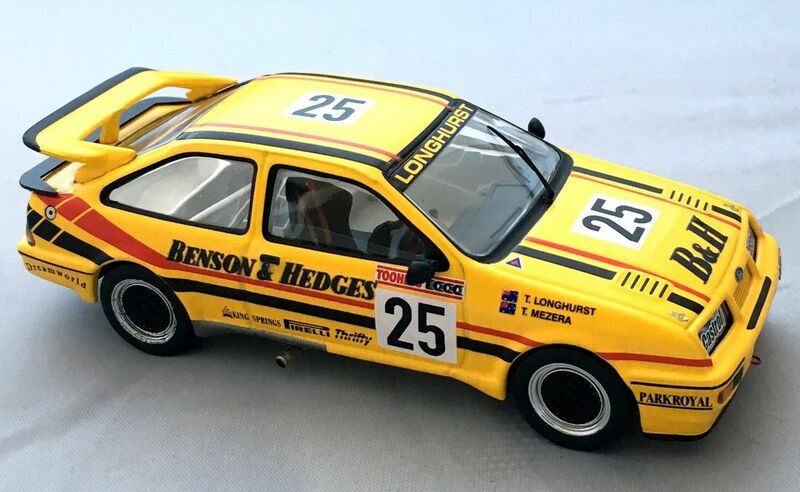 Got it cos it was part of the podium winners incl the Moffat Rx7 I was specifically after so double win on two fronts..I have the Green ones too. That'll do - and a few more Australian Sierras would be appreciated.